In true Fort Worth Old-West-meets-progress fashion, lands once used as an enormous cattle and agricultural operation dating to 1848 continue to influence the lives of Fort Worth residents today. Lemuel G. Edwards established Edwards Ranch on an initial 640 acres along the Trinity River 160 years ago, and the property grew to 7, 000 acres at one point. Over time, the family sold parts of the original ranch, which were developed into the noted neighborhoods of Mistletoe Heights and Cityview, as well as landmark attractions Trinity Park, Fort Worth Zoo, Hulen Mall and Colonial Country Club. In 1954, the family formed Cassco Land Co. and developed a master plan for the land that led to developing the neighborhoods of Tanglewood, Overton Park, Overton Crest and Overton Woods. Then in the 1980s, the family put the brakes on any other major development in order to preserve a corridor needed for an important future road project, the Chisholm Trail Parkway. The 27.6-mile Chisholm Trail Parkway opens in July 2014 and will cross the Trinity River to connect with downtown Fort Worth, opening a world of convenience for commuters traveling north and south between Fort Worth and Cleburne. Back in 2006, Cassco Land sold 181 acres to Fort Worth for the project, which has been in the planning books since the 1960s. Meanwhile, the ranch's remaining 850 acres are undergoing large-scale development into three new neighborhoods with easy access to the heart of the city: Clearfork, Riverhills and Overland. 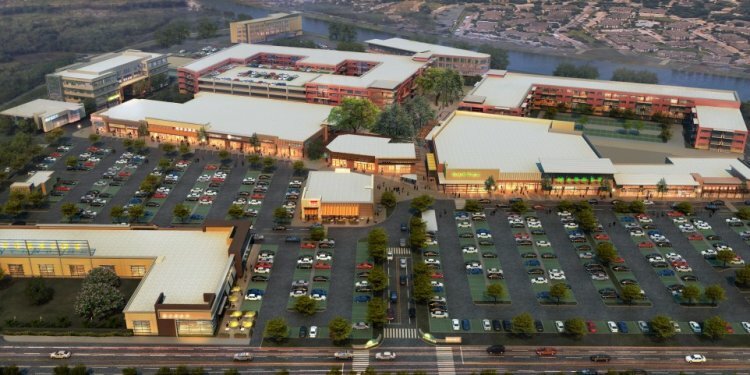 Clearfork's 270 acres in southwest Fort Worth on the north side of the Trinity River will include upscale apartments, commercial properties, office buildings and retail/restaurant projects. Motherall adds that Clearfork contains an established outdoor events complex called Heart of the Ranch that has already hosted events such as weddings, a farm-to-table dinner and TCU game-watching parties for away football games. The Riverhills neighborhood spans 320 acres and will feature high-end, single-family homes built in five phases south of the Trinity River, bordered by Bryant Irvin Road and Overton Woods. That community's home prices range from $600, 000 to millions of dollars, with 350 total homes in place once all five phases have been completed. Overland is the third neighborhood planned for the Edwards Ranch property, atop 250 acres on the southern boundary of Oakmont Blvd. However, Cassco Land Co. has only put together preliminary plans so far.